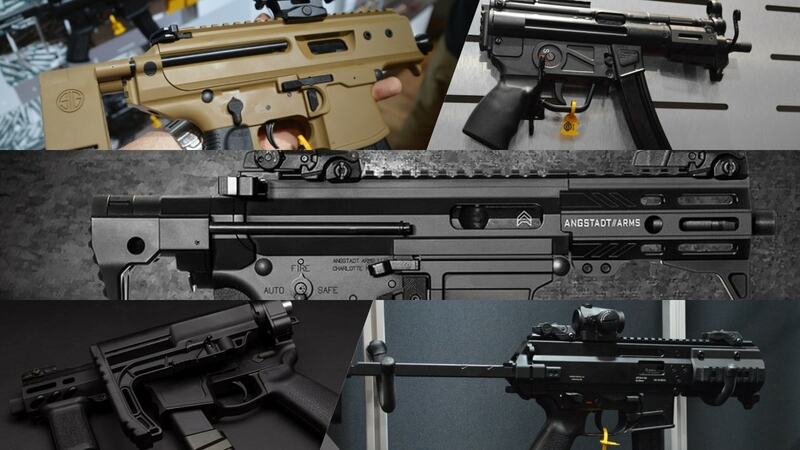 A military contract seeking the best of the best compact firearms on the market has resulted in a number of fresh, new designs appearing for interested gun owners. Last June, the U.S. Army tapped first 10 and then a total of 13 companies for what it termed “Sub Compact Weapons.” These guns, “capable of engaging threat personnel with a high volume of lethal and accurate fires at close range with minimal collateral damage,” were to be used by the military’s Personal Security Details, special teams tasked with protecting high-value officers and dignitaries such as the Supreme Allied Commander Europe the commander of U.S. Forces Korea. The companies in the original list included Angstadt, Beretta, Brügger & Thomet (provided by their Trident Rifles partner), Colt, CMMG, CZ, Heckler & Koch, Lewis Machine & Tool, Noveske, PTR, Quarter Circle, Sig Sauer, and Zenith Firearms — the literal A-to-Z in compact guns. 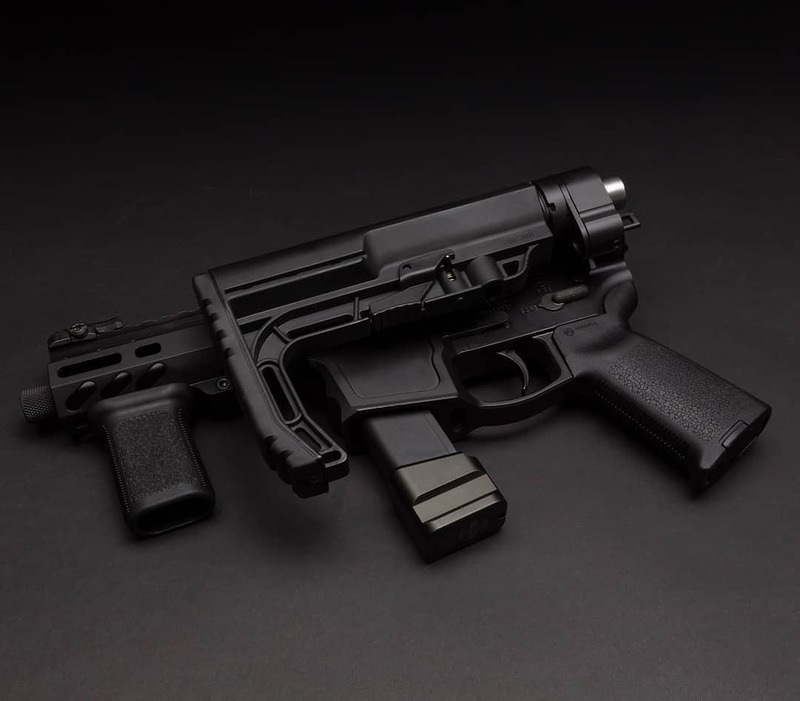 Then, in July, the Army pulled the plug on the whole thing and restructured their requirements to include a tough list of must-haves such as that the gun be under 15-inches long overall with the stock collapsed, and remain under 5-pounds. Keep in mind this was to produce a gun for guys who may have to react to a threat while in the back of an SUV or walking down a hallway in a hotel. Angstadt of Charlotte, North Carolina with a $27,907 award. B&T with a $27,364 bid. Global Ordnance of Sarasota, Florida with a $19,529 award. Shield Arms of Big Fork, Montana, with a $33,350 contract. Sig Sauer, with a $32,516 award. Trident of Odenton, Maryland with a $31,712 award. After testing, if successful, the gun selected could pick up a follow-on production award for up to 350 SCW systems, with an option for additional quantities up to 1,000. 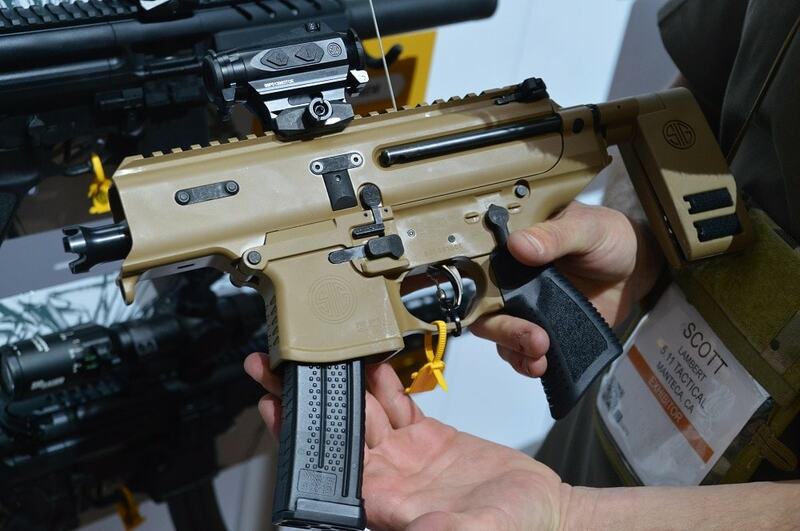 While little details about what models were ultimately submitted for review by the Army, several new SCW-ish guns were in the aisles of the 41st annual SHOT Show in Las Vegas this month. Angstadt was the most forthcoming, releasing images and specs on their SCW-9 design, which takes Glock mags and runs just 14.7-inches in length, while bringing the gun to the show, advertising that it would be available soon in semi-auto and braced pistol variants as well. Sig likewise debuted their very svelte MPX Copperhead which is 14.5-inch overall length largely due to its collapsible Sig Pivoting Contour Brace and 3.5-inch barrel. B&T had Trident-marked APC9K-SD model on hand that looked like an SCW contender. Austria’s counter-terror unit, EKO Cobra, uses a similar version of the gun which they list with a slightly longer barrel as being 15.9-inches overall. 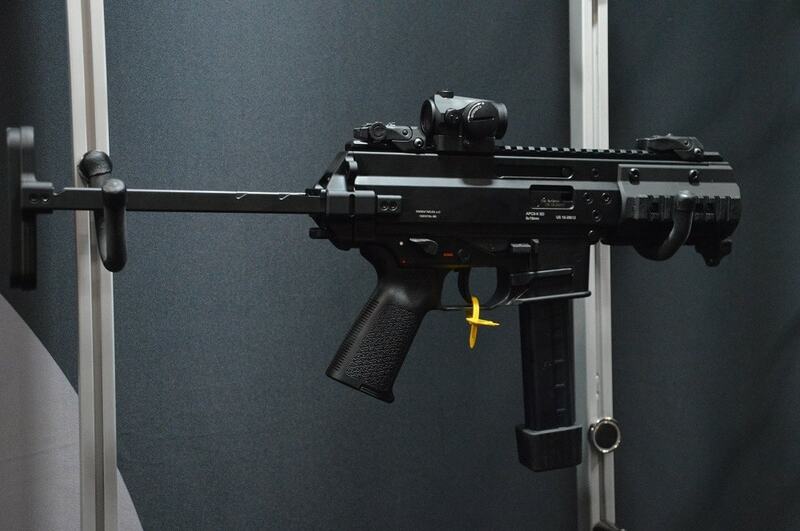 Shield Arms had their SA-9P side-folder on hand at their booth. 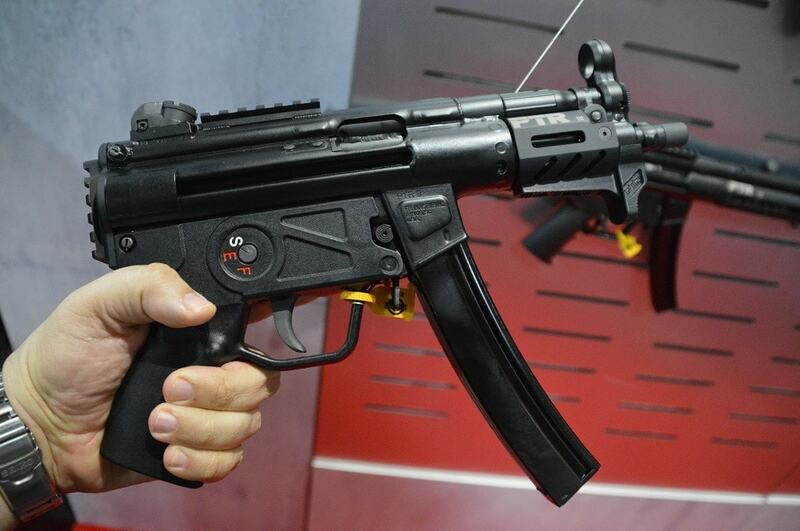 And while not selected for the September award, PTR debuted their HK MP5K-inspired 9KT pistol, for which they have full-auto sears available. The PTR 9KT is just under 14-inches long. No matter what the Army decides on the SCW, it looks like 2019 could very well be the year of “how subcompact can you go,” for interested gun buyers.